Краткое описание: The story opens with a young Silvite woman named Fina sailing through the night skies in her tiny Silver airship. Not far behind her, Valuan Admiral Alfonso is in hot pursuit under orders from Lord Galcian to capture her. Alfonso opens fire on and disables Fina's ship long enough to capture her before it plummets into Deep Sky, but just as she is being brought onboard his warship, a Blue Rogue vessel arrives with the intent of robbing the Valuan vessel. 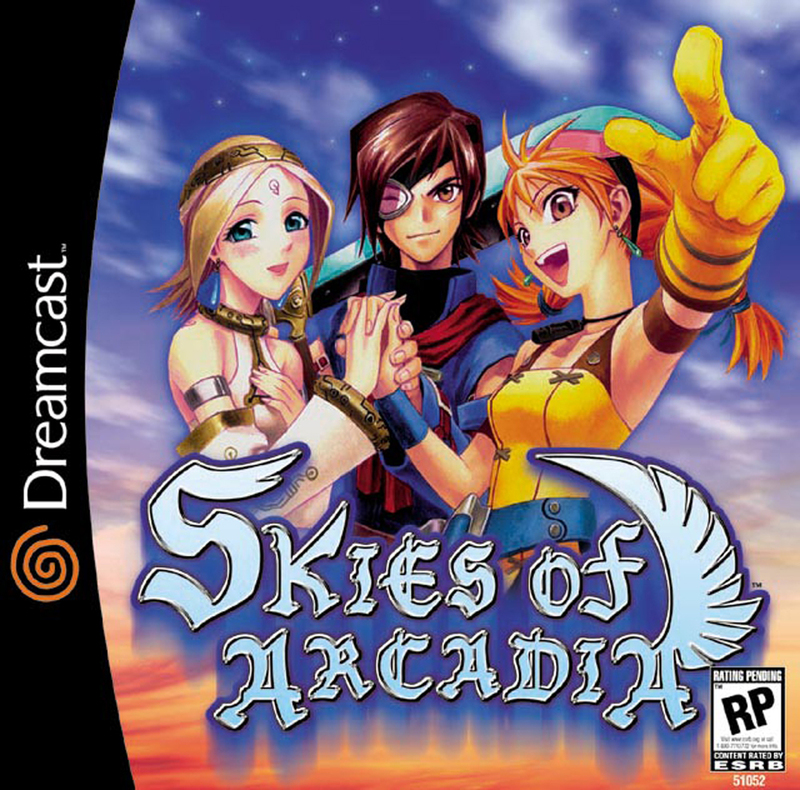 Vyse and Aika of the Blue Rogues jump from the Albatross onto Alfonso's flagship and fight their way to the rear cargo hold, prompting Alfonso to flee on a lifeboat while leaving Fina behind along with the war beast Antonio, who is quickly defeated by the Rogues. 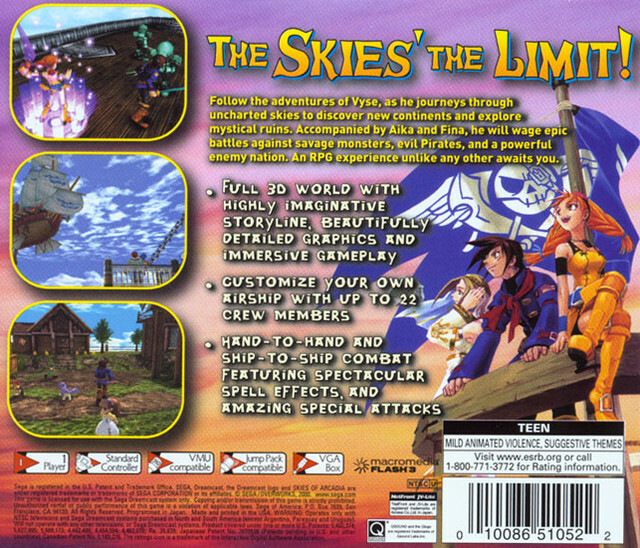 Vyse and Aika bring Fina back to their clan's ship, which Vyse pilots back to their secret hideout, Pirate Island (disguised as a small village). The story opens with a young Silvite woman named Fina sailing through the night skies in her tiny Silver airship. Not far behind her, Valuan Admiral Alfonso is in hot pursuit under orders from Lord Galcian to capture her. Alfonso opens fire on and disables Fina's ship long enough to capture her before it plummets into Deep Sky, but just as she is being brought onboard his warship, a Blue Rogue vessel arrives with the intent of robbing the Valuan vessel. Vyse and Aika of the Blue Rogues jump from the Albatross onto Alfonso's flagship and fight their way to the rear cargo hold, prompting Alfonso to flee on a lifeboat while leaving Fina behind along with the war beast Antonio, who is quickly defeated by the Rogues. 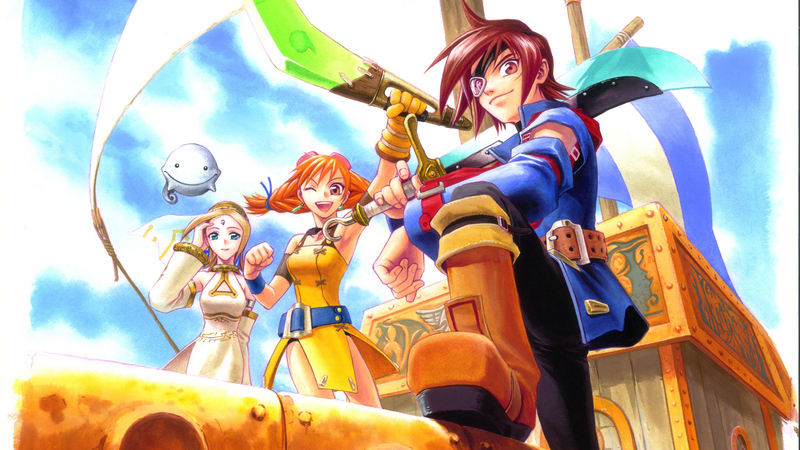 Vyse and Aika bring Fina back to their clan's ship, which Vyse pilots back to their secret hideout, Pirate Island (disguised as a small village).